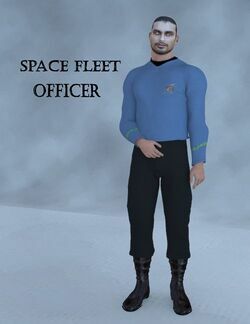 Space Fleet Officer Uniform is a shirt, pants, and boots outfit. It is not free; one can purchase a copy at Poser World. Only the version of the outfit for Dusk is still legally available.